For those who possess a kind heart and a caring spirit, a fulfilling career in senior care is a great fit. 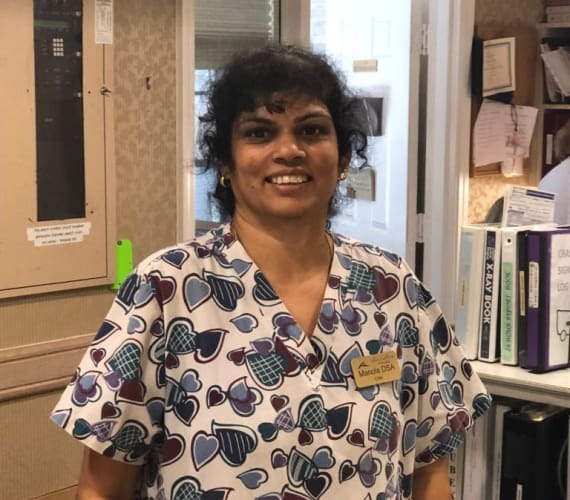 In addition to a rewarding work experience in which you are able to positively impact the daily lives if seniors, a job with Savannah Cove of Maitland also provides limitless opportunities for career development and advancement. All you need is a commitment to care and a passion for success. Explore our available positions to learn more about the career opportunities waiting for you in the dynamic field of senior care. As with any health care setting, you are working in a very fast paced environment. I work in the skilled nursing facility, which is a demanding pace, but very rewarding. As an employee of Savannah Cove of Maitland, you will be surrounded by an encouraging, supportive management team and friendly colleagues. Through a variety of on-the-job and in-service training opportunities, you can obtain and maintain professional licenses which allow you to explore the career path which best matches your talents and most fulfills you both personally and professionally. We are committed to helping you excel in your personal career, just as we are committed to creating unparalleled living experiences for our residents. We strive to ensure that the SLM work environment always lives up to our standard for respect, kindness, and diversity.